Ruthiebear (Titusville, NJ, United States) on 16 December 2013 in Lifestyle & Culture and Portfolio. That certainly is an intricate and colourful bauble. Interesting composition, and nice colour choice. Superb image with dazzling colors! Superbe sélection des couleurs, splendide image. Quelle couleur avec ces paillettes et ce rose mervielleuse vue. How beautiful it is! Wonderful capture. 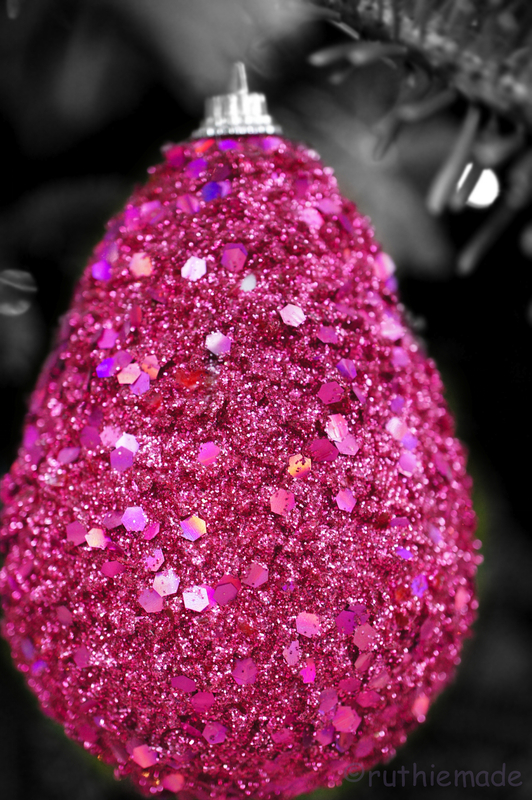 That is more pink glitter than anyone should experience in a lifetime!! Problème de connexion depuis quelques jours , raison de mon absence. Nice shot with a great focu and treatment. A fine shot of this spectacular ornament! Great use of color and nice closeup ! A colors blast! Nice use of selective color. Wow - a beautiful ornament. Beautiful sparkly picture and also nicely framed. Beautiful close up of this gorgeous ornament. I love all the textures! Fabulous color! with beautiful frame, focus, lighting & details!